Many different injuries can occur after an automobile accident. Do you have an injury in Eagan, MN from an automobile/car accident? The most common injury is whiplash. The sudden movement of the head and neck that occurs during an accident can result in serious neck muscle and ligament damage. Back injuries are also very common in automobile accidents. Any damage to the spine can cause significant nerve damage. Many patients experience reduced sensation and control of their arms, hands, legs, feet, and other body parts. Back injuries can also result in a herniated disk which can cause many significant problems. Automobile accidents are the leading cause of injuries and are responsible for 40% of spinal injuries every year. Over 5.6 million care accidents were reported in the United States in 2012. It is more common to not have initial symptoms. Symptoms usually don’t show up for days, weeks, or even months. It takes a rear end collision only 5 mph to cause a neck injury. Minimal or no damage to your vehicle does not mean you were not injured. Collisions in the 6-12 mph range cause the highest percentage of whiplash injuries. Many vehicles will not show any damage in that same range. Females, the elderly, and people with a pre-existing condition such as arthritis are more likely to have greater injuries with less force than the rest of the population. As stated above, many different injuries can occur during an automobile accident, even if no pain is present immediately following the accident. 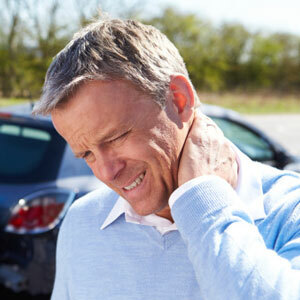 Whiplash is caused by a sudden movement of the head, either backward, forward, or sideways, that results in damage to the supporting muscles, ligaments, and other connective tissues in the neck and upper back. The spine is not built to withstand the impact of an automobile accident so many misalignments of the spine can appear after any amount of impact. The extra force put on the spine from the impact of an accident can cause not only whiplash but also disc herniation, compression fractures, and spondylolisthesis. What Can I Do to Correct and Avoid Automobile Accident Injuries? Do simple exercises, such as stretching, daily. Ice spine in area of pain daily. Use a firm pillow that is designed to support the curvature of your neck. Avoid twisting and bending motions. While all these tips will help you reduce pain, the only true, proven way to correct misalignments in your spine is to be checked and adjusted by a chiropractor. Here at Cornerstone Family Chiropractic, we are spine experts and know exactly how to find the misalignments in your spine and the root cause of your automobile accident injuries. No two people are alike so your individual care plan will address your unique issues and will lead you back to optimal health. We look forward to getting started with you! Reach out to our office today.